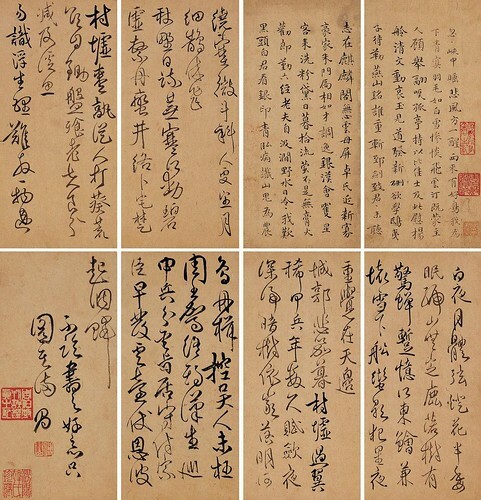 Fu Shan (傅山, 1607-1684), a native of Yangqu (陽曲) in Shanxi (山西), was a well-known calligrapher and art theorist during the late Ming and early Qing Dynasties. 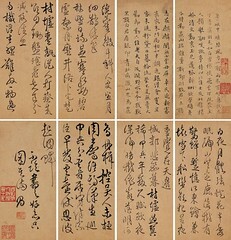 Fu Shan was well versed in poetry, literature, calligraphy and painting. He was unparalleled among the scholars in the early Qing Dynasty in terms of the broadness and achievement of his knowledge. 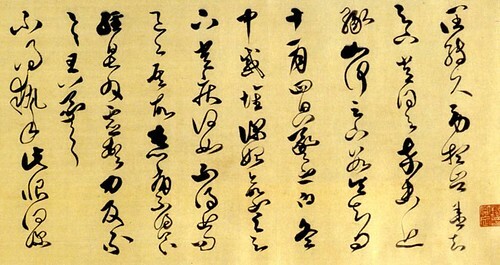 For 1,300 years, Chinese calligraphy was based on the elegant art of Wang Xizhi (王羲之, 303-361). But the seventeenth-century emergence of a style modeled on the rough, broken epigraphs of ancient bronzes and stone artifacts brought a revolution in calligraphic taste. 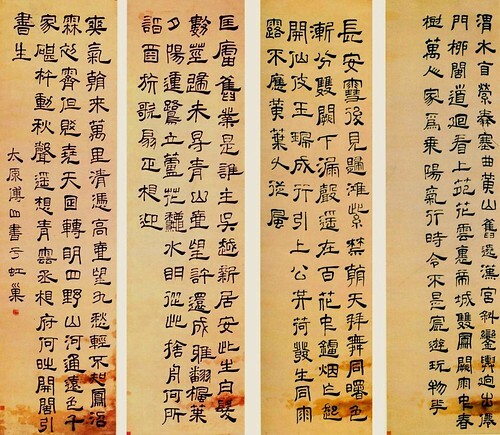 By the eighteenth century, this led to the formation of the stele school (碑派, 碑學) of calligraphy, which continues to shape Chinese calligraphy today. Fu Shan was a dominant force in this school. Because his work spans the late Ming-early Qing divide, it is an ideal prism through which to view the transformation in calligraphy. Fu Shan was also a reputed doctor. 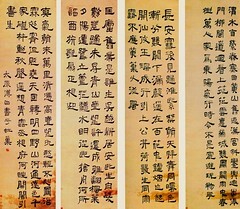 Though his life story was not recorded in the official history, and only a few sketches in the annals of county and prefecture, his reputation was heard in Shanxi and even the whole country, shining brilliantly in later generations.